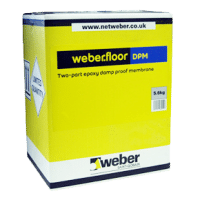 For the preparation of substrates before applying tile adhesives or levelling compounds we stock a range of Weber Primers that help to prepare the surface effectively. Priming helps to strengthen the cohesion of the substrate surface and helps to improve the adhesion of mortars. For showers, bathrooms and domestic kitchens we stock silicone sealants that boast qualities such as mildew and fungus resistance. Weber.joint silicone is available in a variety of colours in order to compliment your new bathroom or kitchen tiles and the anti-fungal agent helps to prevent mould growth. Keep your new tiles looking great with Weber Primer and Silicone.